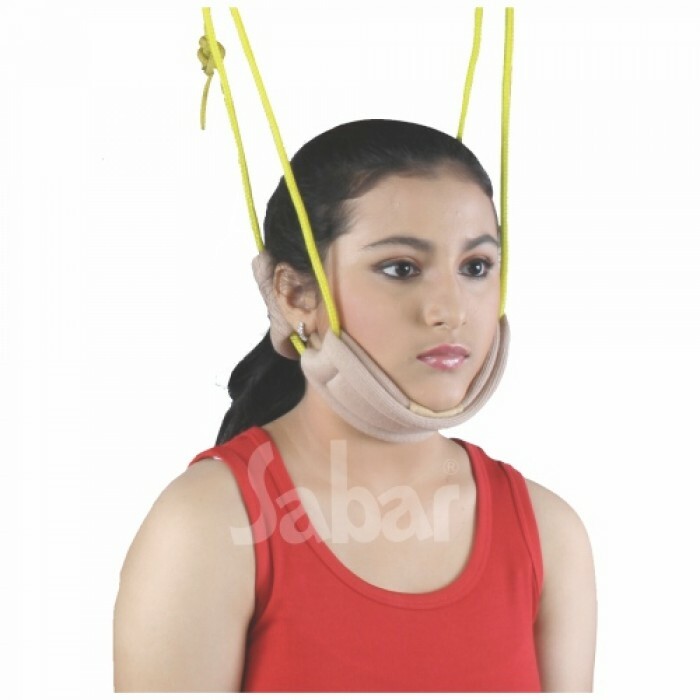 Sabar cervical collar (a.k.a - Neck collar / Neck brace)is used for supporting the neck and pro..
Pelvic Traction Belt :Sabar Pelvic Traction Belt is a Physiotherapy Traction Aid Products intended t..
Traction Kit :Sabar Traction Kit is a Mechanical Pulling Device intended to apply uniform and contro..
Sabar Head Halter is a Physio Therapy Traction Device, intended to apply uniform and balanced Traction to Cervical Spine. Note : Consult your doctor before use. Hernia Belt - Sabar Inguinal Hernia beltis designed to apply consistent pressure to an affected area..
Sabar Clinical Warming Mat OR Patient Warming System - Pediatric (Digital Control)App..